Workers at Tesla’s only electric car factory in California took about three times as many sick days in 2018 than in the year before, Bloomberg reports. When the increase in the size of the workforce is accounted for, the average time each employee spent off the job doubled in 2018. In total, employees spent 22,454 days off work on sick leave in 2018 versus just 7,619 days in 2017, according to a company report viewed by Bloomberg. The rate of injuries per hour worked stayed roughly the same, suggesting that each injury sustained in 2018 might have been more severe on average than those that happened in 2017, according to former Occupational Safety and Health Administration chief of staff Deborah Berkowitz. Tesla’s workforce is in flux. Tesla CEO Elon Musk announced in January the electric car manufacturer is cutting 7 percent of its workforce. The cuts amount to roughly 3,150 jobs across Tesla’s staff. Musk and Tesla rode through a tumultuous 2018 as Musk continued to increase Tesla’s Model 3 production goals to bring the price per car down to $35,000. Musk told his followers on Twitter in August 2018 that he had secured funding to take the electric car manufacturer private at $420 a share. 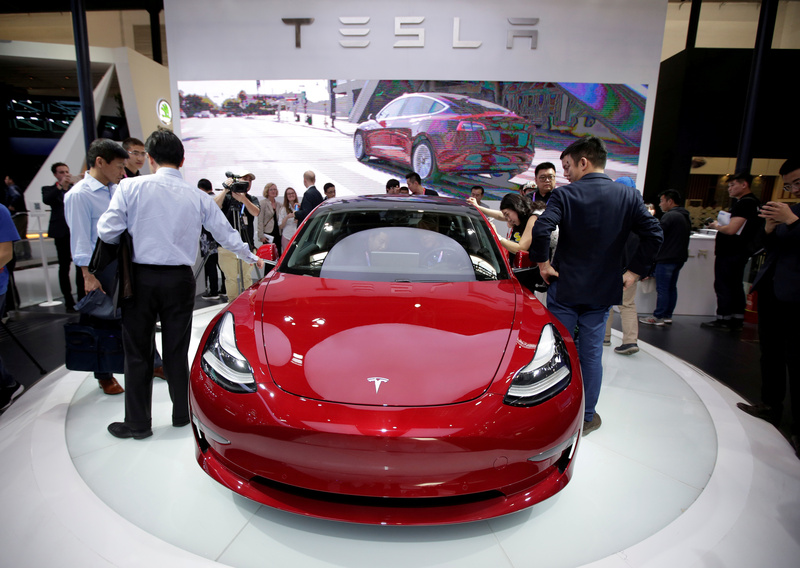 The announcement prompted an investigation by the Securities and Exchange Commission (SEC) for allegedly making the announcement to boost Tesla’s share price. Musk and Tesla settled with the SEC, agreeing to pay separate fines of $20 million each. Musk also agreed to step down as chairman of the carmaker.